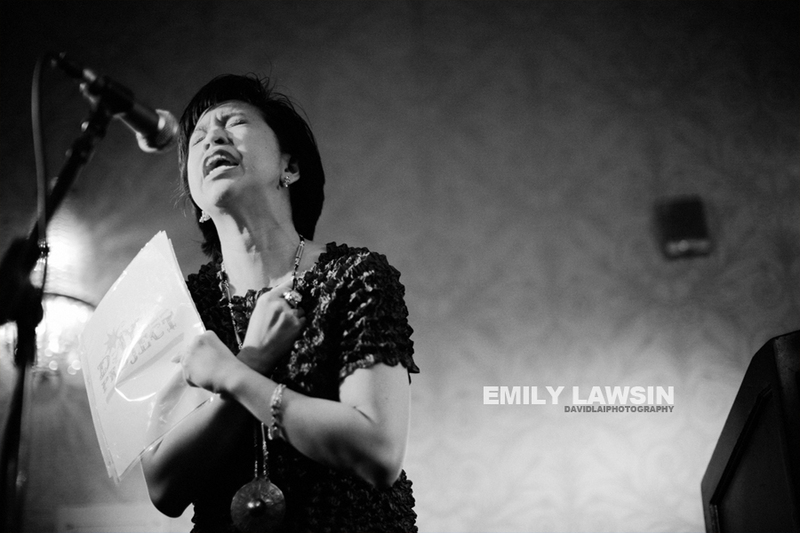 Emily P. Lawsin, Photo by Sahra Vang Nguyen 2016. Emily P. Lawsin is a second-generation Pinay originally from “SHE-attle”, Washington, who believes in sharing history and HERstory through OURstories. 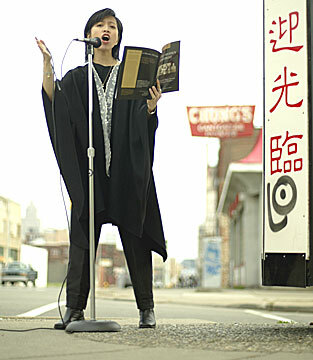 She “planted rice” in Motown, teaching Asian American Studies, Filipino American history and literature, Asian Pacific American Women, Oral History Methods, Spoken Word Poetry, and Community Service-Learning courses in the Asian/Pacific Islander American (A/PIA) Studies Program, Department of American Culture, and the Department of Women’s Studies at the University of Michigan. For several years, she also served as an academic advisor for both departments. She joined the Michigan faculty in 2000, after she completed her Master of Arts degree in Asian American Studies at UCLA. From 1994-2000, she taught Filipino American Studies at UCLA, and Asian American Studies at California State University, Northridge. In 2009, she was a Visiting Lecturer at Wellesley College. She also facilitates oral history trainings and writing workshops for many community organizations. She serves as National Vice President of the Board of Trustees of the Filipino American National Historical Society (FANHS), is a co-founder of the Detroit Asian Youth Project, and started the Filipino Youth Initiative (FYI) classes at the Paaralang Pilipino Language & Cultural School. She is the co-author, with Joseph Galura, of Filipino Women in Detroit, 1945-1955, Oral Histories from the Filipino American Oral History Project of Michigan, which produced the Pin@y Performance Project, intergenerational multimedia performances based on stories, poems, and memoirs of pioneers. Their second book Tapestry: Filipinos in Michigan, 1900-1950, is forthcoming next year. She is also co-editor, with Joan May T. Cordova, of In Our Aunties’ Words: The Filipino Spirit of Hampton Roads (Virginia). Prof. Lawsin/”Até”/”Auntie Emily’s” poetry and essays on war brides, students, and writers have been published in numerous journals, newspapers, and anthologies, including: Flippin’: Filipinos on America; InvASIAN: Growing up Asian and Female in America; Going Home to a Landscape: Writings By Filipinas; The FANHS Journal; Teaching Asian America; Words Matter; International Examiner; disOrient 9 journalzine; Teaching About Asian Pacific Americans; Filipino American Psychology: A Collection of Personal Narratives; Walang Hiya: Literature Taking Risks Toward Liberatory Practice; Maganda Magazine; Our Own Voice Literary EZine: Filipinos in the Diaspora; Troubling Borders: An Anthology of Art and Literature by Southeast Asian Women in the Diaspora; and Beyond Lumpia, Pansit and Seven Manangs Wild: Stories from the Heart of Filipino Americans. An award-winning professor, oral historian, advisor, motivational speaker, writer, and spoken word performance poet since 1990, she has performed on radio and stage throughout the United States and Manila.